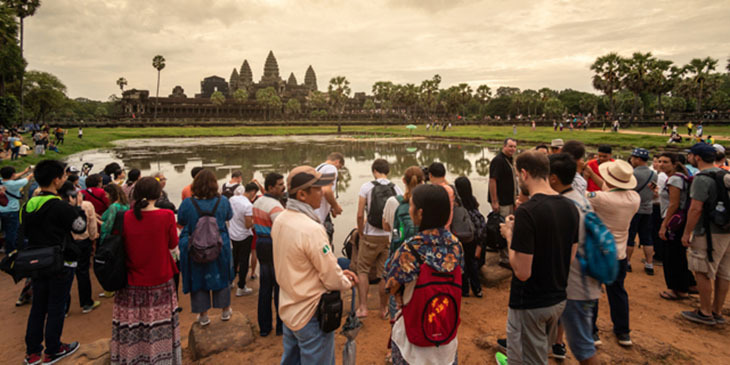 As overtourism becomes a growing challenge in Asia’s tourist hotspots, industry stakeholders are calling attention to the importance of tourism management. “While it’s right to understand ‘overtourism’ (literally), what it basically means is a lack of tourism management,” said Willem Niemeijer, founder and CEO of Khiri Travel. Promoting new destinations is one way to ease crowding, but it is far from the full solution. Some DMCs TTG Asia interviewed at the recent PATA Travel Mart shared that while more travellers are seeking new areas to visit, they typically still want to see icons in popular cities. This highlights the need for better regulation of traffic within tourist hotspots, something the private sector is already actively pushing for. “There’s a lot of growth still possible even for places at breaking point, it comes down to management,” Niemeijer said. For example, Peak DMC, which just opened an Indonesia office, will include areas in Bali overlooked by tourists. “We are working on community-based tourism projects that include Mount Batur. For now, lots of tourists merely pass by that area, and communities don’t get to benefit. We’re working with NGOs to open up some of these areas in Bali and beyond,” said Needham. One way crowds can be managed at tourist sites, Niemeijer said, is through a pre-booking system. “Taking the example of museums in New York, Amsterdam or Paris, you need to buy tickets ahead and there are time slots for bookings. Even though (key attractions are packed with) tons of people, tourists don’t feel that because the traffic is well regulated,” Niemeijer remarked. When scaled up however, the work of regulating visitor flow will require government involvement. “When (efforts are centred around) the destination, such as Phuket, it becomes a tougher situation. “To think about issues like where people can build hotels, what public spaces need to stay free, etc, (requires) public sector work… but (as long as) the government allows people to build hotels anywhere they like, (overtourism) will happen,” Niemeijer said. There is currently a lack of public-private sector collaborations to better manage tourist flows, he stressed. Likewise, Needham opined that to address crowding and build up new destinations and better distribute tourism benefits to local communities would require partnership between different parts of the tourism ecosystem. On top of government collaboration, community-level partnerships are also key. “It’s about looking at crowded tourist spots, identifying similar areas (whose communities can benefit from that boom) and expanding operational capabilities there by partnering local NGOs, which have great traction with communities,” said Pravin Tamang, general manager, Peak DMC India.